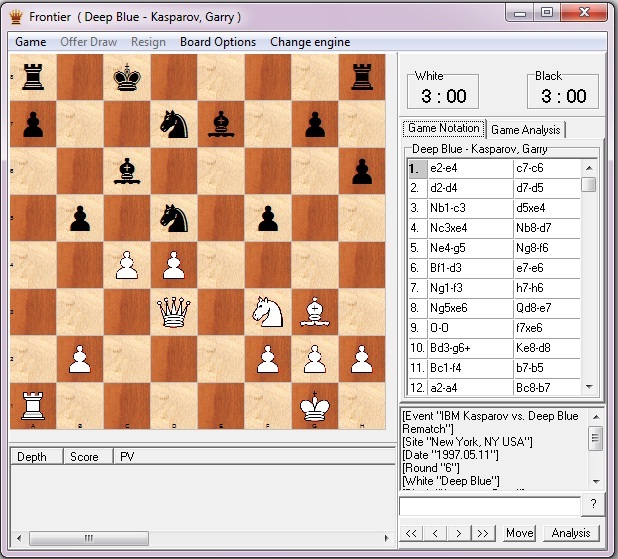 FrontChess was created for chess playing in Internet or in local area network. The program is divided into 2 parts: server-based and client-based parts. For starting the game in LAN, the server-based part must be activated on one of the computers. Then the clients will be able to connect this server (server IP must be pointed out in client’s program settings). On this site (rus) only client-based part is available. on default it is a server, launched in Yaroslavl (Russia) and the first connection will be carried out right there. The possibility of installing the server-based part on your LAN should be discussed with the author of this program. E-mail him. This program is developing and all your suggestions are welcome! You may write them in the guest book. - Adds an user-ignoring option, located in the userlist pulldown. You won't receive challenges and private messages from ignored user having this option on.